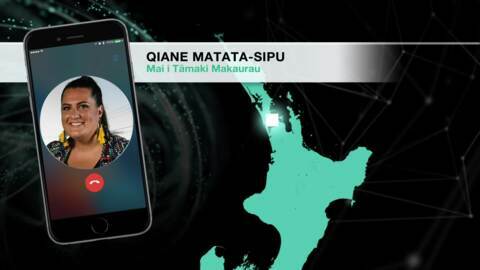 Qiane Matata-Sipu has won an award at the NZ Geographic Photographer of the Year Awards for her six-image social documentary series about the land protest in Ihumātao. 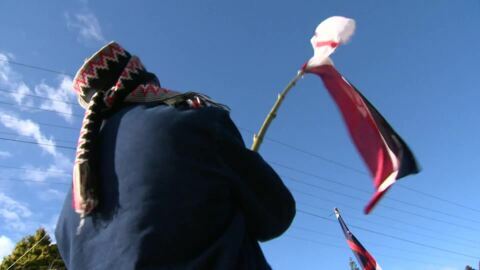 Hundreds of people turned out to show support for Save our Unique Landscape's (SOUL) occupation of land at Ihumatao in South Auckland. 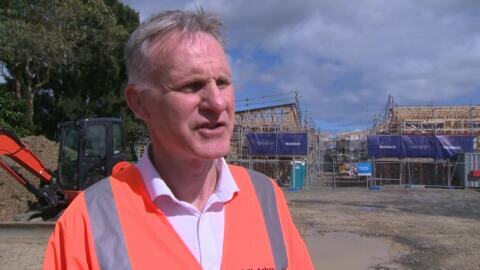 This comes ahead of an environmental court hearing with Fletcher Building who look to develop residential housing on the land and deliver what they say is much needed housing on this site in Auckland. 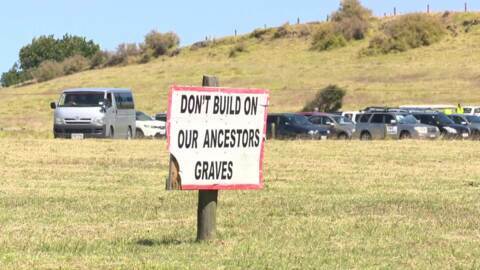 Hundreds gathered at Waiuku's Tahuna Marae, south of Auckland, for the burial service of environmental champion Dame Nganeko Minhinnick. The trail blazer in environmental legislation reform was laid to rest in her ancestral marae cemetery, beside the waters she advocated for, the Manukau Harbour. 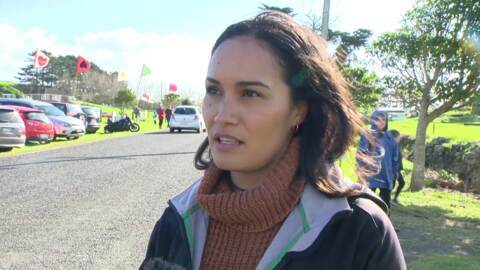 Protect Ihumātao campaigners, Pania Newton and Delwyn Roberts will return to Aotearoa today after attending the United Nations Permanent Forum on Indigenous Issues in New York.